We love having the opportunity to chat with our customers as they surf our website. We are able to ask them if they have any questions about what they are currently viewing. This option for us has helped us cut in half the number of abandoned carts we once had. We love that you can see where your customer is chatting from, which helps with answering delivery questions etc. At times, it is difficult to attach pictures while chatting. It would be nice if the end user and chat host would be able to benefit from sending the pictures, especially when you are working with a designer for color purposes. Definitely give it a try. It will be worth it. Test the chat yourself too, so that you can see how it works on your website. You can set up canned responses which are nice. We are solving many problems on a daily basis with our customers. Directing them to our how to videos and to our many colors and styles of binding tapes. We have a sample page that many like to use. Livehelp now is easy to use, and fast. You can put your own canned messages. Although, LiveHelpnow has an horrendous user interface. I mean, really, really bad. The chat window is awfully small, while the designated space to watch who is chatting is completely disproportionated. You can change it, but its not easy to find the setting, so I would assume most people just stay on default and enjoy a horribly bad user interface. The canned messages function is great, in theory but terrible in fact; you have to go through a couple of selection screens to get to the right message that you wanna send automatically, which makes it seem like it would be faster to just type out the message. As a user, you can get access to a completely useless admin panel, which doesnt allow you to do anything. Why even bother with this? I know this interface is more likely to be helpful to the actual administrator rather than a user, but then why let a regular user have access to it? Lastly, the actual software that you can install on the computer is just a carbon copy of the website client, but with more bugs so technically just complete garbage. Honestly, im certain that there are so better softwares out there that will be more customizable and more attractive to use. We needed a chat software, and we got just that. "A Fantastic Product for Managing Customer Contact"
LiveHelpNow offers our customer support staff all the tools they need to talk to our customers via eMail, Live Chat, or Call Requests. The ability to reach a customer wherever the may be trying to contact us is one of the best features. I love how we get data on what pages the customer is viewing to help direct our support, and the ability to tag and automate tickets and chats based on rules. One of my favorite features was the SMS text messaging chat ability, and now the Facebook integration. The only true problem I have with LiveHelpNow is that it is based on Internet Explorer, which is more a personal gripe than a defect of the system. The download of attachments is a little clunky, as is uploading attachments to a customer ticket. The mobile app is also lacking and crashes a lot. It is a great product that is forward thinking and evolving, and will continue to be a leader in the industry. We are able to reach our customers on every device, and everywhere they are. We no longer have to be tied to one device either, as we can run LiveHelp mobile, web or desktop. We are able to get customers answers faster than a phone call in some cases, and provide self help methods for repeat questions. We see more conversions because customers are able to connect with us and get help quickly. "Service Puts You Ahead of the Pack"
1) Ability to allow customers to text the store’s landline telephone number; 2) Existance of an app to use the service on the go, no matter where you are; 3) Service ensure you capture the customer by allowing a customer to chat or text you any time. App needs to have a chime each time a customer responds to your chat or message. Right now, you are notified only when a chat is started by a customer. After that first chime, you have to keep checking to see if the customer replies. Device was.gane changer for our business. We can communicate and capture customers before competitors because we can chat or text with them immediately. By allowing customers to have immediate access to us and allow them to text or chat us any time, we have a higher ability to capture the customer and stop a competitor from acquiring the customer. We have a young customer base and the ability to text us is key. We build a relationship via text with the customer before he or she even walks in the store. "Live Chat has really helped us grow"
There are many aspects to the live chat that I enjoy, but I would have to say that I do like that you can customize the chat to show your picture, and send canned messages to the customers. I also enjoy being able to see where we stand as far as how well we are doing on a scale from day to day. One thing that I would like to see implemented would be to have a priority. Right now the only way to break up the chats if more than one person is online is to do the round robin, and I would like to be able to make one person more readily available than others. We are finding a lot of our customers would prefer to chat than to call in and get passed around. The one thing that I would like to change but cannot is to have more departments on chat In my company. "Excellent tool to monitor the marketing campaign"
The best thing is that you can see live visitors and pages they are interested and where the visitors come from. You can approach the visitor and offer them invitation window. You can see the country they are from and IP addresses. Based to my experience after LiveChat; the interface could have been improved a lot, there is no control between the management user and normal operators, a manager cannot see the Live LiveChat being handled by its operators and sometime and keywords are being no more shown unfortunately. It would be great resource if the developer could see other LiveChat software like LiveChat and etc too. We are using LiveHelpNow in our Travel and Tours webiste. We can see live visitors and try to offer them our new services live as they visit our office. There is full control over what agents see, as well as administrators having an ability to see all chats in progress and coach agents in real time by using our patented Whisper feature, allowing admins to chime in silently within chat conversation to direct agents. Please definitely reach out to our support so we can schedule a live demo to show this to you. "I love using LiveHelpNow chat software cause I did not have any issues when I used it." The software is very user friendly. Just one look at it and you will surely know that it is very easy to use and all the information that you need is there. This is something that I do not really dislike but it would be best if we can change skins or colors on the software to break the monotony of its appearance. I have used it for 5 years now and the interface or the appearance is still the same since I started using it. Good choice when using this software cause it is very user friendly and they provide great customer service. I have realized that this chat software is a very good companion and an indespensable tool for providing excellent customer service. LiveHelpNow makes online chatting simple and use friendly. Since we have been using livehelpnow we have had more people on chat than calls coming in. The one part of the software that I do not like is that there is no way to make a certain user with greater knowledge higher no the priority list for callers. It would be nice to have a way to have most of the calls to one person rather than having it run round robin. 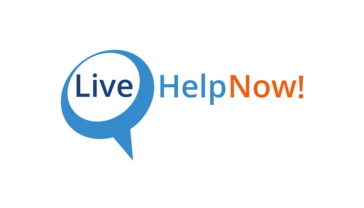 If you are considering something practical for online chats and knowledge base, LiveHelpNow is what you need. My company has been using this software now for years, and we love the ease of use, and the support behind it. We are cutting back on phone calls, and that helps free our lines up for people who have more in depth questions, and need more time spent on the line for support, rather than looking for a quick answer. I appreciate the ease of use and convenient pop up messages alerting of new incoming chat requests. It is also interesting to see the frequency of visitors coming and going from our website. This may be a feature that I am not aware of but it would be convenient to be able to send .pdf attachments directly to a chat customer's e-mail. Trying to get customers answers and information in a timely manner without the need for a telephone conversation. This software has put us in closer contact with our end users and distributors. HIPAA compliance was the biggest thing for us which LiveHelpNow is certified in. No other chat software is. Ability for our patients to text for support is also unmatched. Our patients absolutely love it. Facebook messenger integration and ability to send funny animated gifs is a cherry on the cake. We do not use knowledge base product and it would be great to remove this tab from the console. If you are growing or anticipate growth and understand the value of unified support (omnichannel), chat, email, sms, social, etc. then livehelpnow is certainly for you. Ability for our patients to get in touch with our staff via chat, SMS, facebook and email. "Excellent Chat and Customer Service "
Customer Service is free and available seven days a week. However, I rarely utilize the support because the knowledge base, interface, and articles are comprehensive and thorough. The google translate feature is essential for my business as I interact with customers all over the world. This feature makes communication limitless. With cell phones being my target audiences most used device, the text to chat feature is essential. I also really like that the chat window is fully customizable with various trigger responses. The ease of the app is also vital to my business. I can take chats anywhere, and I am not limited to a desktop computer. The interface aesthetics could use an update. Other than that, the system is easy to use and I have no complaints. If possible, I would recommend an integration with Instagram. My target audience has higher engagement on that platform. I think other businesses could benefit from this as well. I highly recommend this software. With a 30 day free trial, you literally have nothing to lose. Live Help Now is always improving their product and has customer service 7 days a week. It has been vital to improving my customers' experience and has made communication limitless. Live chat allows me to answer customer questions and concerns instantly. The new Facebook integration enables me to connect with my customers through another platform rather than just web visitors alone. The increase in customer engagement translates into more sales. I can now communicate with customers in any language. As a small business owner, I am able to utilize the app to its fullest capabilities, and I am not limited to a desktop computer. I can run errands or work on my business in any location without missing an opportunity to connect with my customers. "Great service for our company! Customers love using it!" We like that it's a quick way to service our customers when they have quick questions about part numbers, installation, or need links to download documents and literature. We also liked the canned responses option for commonly asked questions. On some occasions, our customers say their chat gets cut off (not agent ending conversation). I believe this might have been due to users that try to use chat through mobile devices? Would highly recommend this service for chat service to any company need a quick and easy way for customers to get answers they need without calling. Answer the quick type calls. In the winter, we receive double the amount of calls we do in the summer. We sometimes aren't able to answer all phones calls in a timely manner, so the chat service let's customers who do not need troubleshooting assistance, a quick way to contact our support team for their general questions. "Convivial and nice interface but lacks flexibility for larger companies"
The interface is easy to navigate and to configure. If you need help, the LiveHelpNow team is absolutely fantastic and will help you with any aspect, from configuration to billing. It is just an additional ways for our customers to reach us. Since we are in a product support environment, livehelp is used for quick and non complex questions. "Been a customer since 2012 and have seen great changes and not-so-great..."
The new changes that LHN has made to allow for customizing each client's offline and ticketing window is the exact thing I was looking for a couple of years ago. Also the fact that you can customize the customer survey is a big plus. There are a lot of canned analytical reports available and the pop-up tab is a hugely popular feature. Their development cycle is *really* slow and I was told three or four times that the feature I needed was coming within the next month. They would actually give me a semi-specific date and they would always miss it. Although we still have LHN for two clients, we had to move a couple others to a different platform because they needed those abilities. I would definitely give it a try... we're going to be giving it a round two ourselves to see if we can bring those other clients back onto the LHN platform to have everyone together. Definitely cuts down on the time we need live agents sitting on ready waiting for chats. When they can, they do, but when they can't the ticketing and callback features - plus the self serve knowledge base has proved very helpful. Thank you so much for your loyalty and feedback. Would you be able to clarify which features are needed and we will make sure to address it ASAP? It would be helpful if you can indicate in the email that it is regarding to G2 review comment. Easabillity of using software and platform. Easy to implement on website. Notifications on website, desktop app and phone app. Phone users should hear and receive a notification each time a customer sends a response, not just a notification for when a user starts a chat. Desktop app will make a noise and display a notification on monitor, but 50% of the time this notification does not work. Website notifications (on chrome) do not make sounds, nor have they ever made a sound. Best used for quick customer questions, explanations on how products work, or when customers ask for a discount code. Good for taking an entire order with as well. "Capable Tool for Live Chat"
LiveHelpNow provides a solid platform for handling live chat on our website, which allows for multiple unique chat windows, missed chat management and auto-log off users. Excellent support. The chat windows can be customized with fields to an extent, but the actual implementation of the code and ensuring the windows look nice rely completely on your own web developer. There is no de-duplicate check on chat leads, so if you want leads to flow into your CRM duplicates will be created. Absolutely worth evaluating. For the price point, you may find that LiveHelpNow provides everything you need to get Live Chat assistance going at your organization. Some of our prospects would prefer to ask a few quick questions on live chat rather than call or send an email. This system allows chats to come inbound to our inside sales team so they can respond promptly to any sales inquiries. We have closed deals from leads originated from live chat. Duplicates should definitely not be created. We would like to look over your account settings to address this. Also with the release of the embedded window last year, you no longer need a developer to make your chat window look nice. Can you please email your account details to "help at livehelpnow dot net" and we will address the CRM duplicate issue for you ASAP. Please refer to G2 comment in your email. "LiveHelpNow is easy to use and convenient." Easy to use. Spell check. Speedy. Great customer feedback. Sometimes our alerts don't pop up and it ends up as a dropped chat with our customers. It is easy to locate dropped chats though and then they are always emailed back. It is a great online tool. Our customers agree that it is easy to use on their end as well. We are quick to get the customer the answers and this helps us. We are able to communicate with our customers easily and conveniently. Some customer do not want to call so using live help enables them to chat online and not have to call. "We have had a great experience with Live Help Now." This software is very user friendly. It was easy to learn how to use. It is also easy to train our customer service reps to use the software. Our members certainly like the option to get live help with their questions. Nothing so far. And honestly this is the only live help software I have used, but it is wonderful. Our members come to us with so many questions. We can assist them with website issues, password issues, membership questions regarding services and benefits. The live chat is also very useful to get a member to the department or person they need quickly. "How LiveHelpNow has only increased our business sales and given our company more customers." What i like most about LiveHelpNow, is how simplified it is! I can be working on any other task on my computer and if someone needs help or has a question, i will get an alert to let me know that someone asked a question. Also i like that i can see how many people are browsing the website and how many pages they have viewed. I don't like how only one secretary can access LIveHelpNow at one time. You will love the simplicity of it, also being able to help your customers without having to talk to them or being face to face makes your job so much easier and less time consuming! We are able to solve many and various random questions that our customers may have regarding how something works, to how many or how much of something you get of a specific product. Our customers don't even have to pick up the phone to get their questions answers. "My thought on Live Help"
Live Help has been a great partner for our company. The additional services they offer in addition to a great chat have allowed us to move our chat in directions we had hoped to go to much faster. Would like a notice of some kind when there is a detected outage or problem - we usually just find something not working and make the contact. If your looking for a robust chat that offers a lot of additional features not found anywhere else this is the chat for you. Chat is a big part but we are also using SMS which works great. We also love the translation feature. We are a small call center and having the ability to route customer who cannot speak English to a service they can easily use has been great. "Easy to use, great for people on the go! " I love that I can access chat from anywhere even on my phone. Potential customers often have questions when browsing a site, and I love how easy it is to use LiveHelpNow to answer questions quickly and convert website visitors to actual customers! Overall easy to use and install on the site. No complaints. I have realized that chat is easy - I was always skeptical, but since adding it to my site I feel as though I am connected to potential customers all the time. The experience is easy and I wish I had done it sooner. "Feature rich with very responsive support." Our company has been using LiveHelpNow for almost a year now with very little issues. Even when there were issues, their team was very responsive and solved our issues in a timely manner. The on boarding process was easy and their support team was very helpful in making sure we had everything setup to our unique needs in dealing with patient privacy compliance and our other needs. They also have an extensive analytics tool that gives us tons of useful information, including details we didn't even know we wanted. There are only a few design related issues that I wish were different, but for the most part, I don't have any complaints. The Knowledge Base feature has made searching for commonly asked questions a lot easier for both our customers and our employees alike. I like the ease of the system. I like where it offers different options to better help customers. My biggest dislike would have to be that inability to add our own words. Such as we use the word "collet" however it always prompts us to change it to "collects"
I would highly recommend the system. I believe Live help is working with consumers to better this system and it continues to improve. We are able to connect with our customers and assist them with anything they need without having to call into our call center. "Live Help Now is awesome"
The only issue we have is that I can not respond to inquiries through my email and the chat system app isn't very easy to use. You should highly consider this product. They have great support and are easy to access. Their pricing is also great! We use this for chat sessions as well as inquiries and tickets. It helps some of our clients that don't want to call us, to use this service and get an answer from us easily. "Great value for money, great feature set, and a rare caring and responsive technology provider!" Feature set is comparable to industry leading and more expensive options. Vendor genuinely listens, cares and their road map is ready to adapt to reasonable client needs. It is easy to get things done with LiveHelpNow in a fast paced world and industry. Other vendors make everything difficult and seem to want to go down the 3rd party route a lot of the time. I would have to say the UI was looking a bit dated, but this is being worked on as we speak and should sorted shortly. Unifying multiple brands under one service system. A service system that talks to our parent CRM very well, and let's us route inbound contacts based on this, as well as sending copies of conversations back to our CRM contact records. "Happy to say that LHN has been our chat solution for over 7 years"
It's easy for the Reps to use, easy for marketers/coaches to make changes, provides all of the basic functionality our web visitors need, it's very reasonably priced, LHN reps are very helpful, they've made multiple enhancements to the solution from the input we've provided. There are very few things we dislike. Our biggest need is better integration with our ERP system to get a better idea of the type of customer we're talking to (if it's an existing customer). LHN offers some basic solutions for this but the more advanced ones take IT resources. It's fast and easy to use. Will help your customers and increase your website conversion rate. Our goal is to keep customers from leaving our website if they have questions that our site hasn't answered. "A good basic webchat system"
When we have a question their live help is right there and quickly resolves any problems we have. And if they can't? We get a phone call within an hour to talk us through the issue. Some of the analytics are a bit wonky. At times the system doesn't report anything, or the system goes into offline mode with no notification from LHN that there is a problem. Makes it hard to determine if it's our network (usually not), or on their end (usually is). Utilize the online help system as much as you can, along with the tutorials on you-tube. We were looking for an additional method to reach customers who were browsing our website. We've achieved our goal. "Works well, room for improvement"
We've been using LiveHelpNow for over 5 years, what we like the most is that it is well integrated into our site and is a major assist in helping visitors convert. The look and feel used to be dated, they've been woking steadily at improving that. It still lacks customer triggers on a per URL basis. LiveHelp allows our reservations agents help assist visitors to our site, walk them through our complex product offerings and get them down the funnel. "Great Product. Great Service. Always Growing"
The mobile app is awful for IOS. I would like to be able to respond to chats on my cell phone using SMS like I used to be able to do. Better mobile support for users / admin. We are able to quickly and easily communicate with our customers across multiple platforms, including Facebook IM. Talking to clients is easy and very helpful. I dislike LiveHelpNow's live chat personal. I connected with them when I received a newsletter regarding tracking conversion rates. I was confused on how to use it. Next,I read the website. I was still confused. So, I finally connected with a specialist on live chat and the only help they could give me was, "Here's the link to the page of how to use that." They couldn't help one bit. I can't say that I have any business problems with LiveHelpNow. We benefit from being able to connect with our own clientele that normally wouldn't bother to call or email us. We connect with our clients immediately. The consistency of support team members is outstanding to the point that months after I've experienced LiveHelpNow's customer support, I compare that of others to LHN and hope when I seek support elsewhere as a customer that I would receive a similar degree of quality and responsiveness. the outdated interface and user experience made it a big challenging to navigate as both an Admin and Operator, but it's changing quickly as LiveHelpNow seems to focus on improving technical functionality and what truly matters first prior to updating its look and feel to a modernized design. Building trust with leads and potential clients in a secure and private way they're comfortable with before they commit to using the service! The visual options for the dialogue box that flags across the screen are limited. I feel like it looks pretty cheesy. It would be nice to have something more professional looking. Simply helping our customers in the fastest possible manner is solving a problem. Interface is very user friendly and very comprehensive, it is easy to use and to teach others to use. Helps us take good care of our customers in a timely manner. Reporting could improve, for example, it would be niece to have the time it took to answer an individual chat, how much it spent in queue, etc. LHN is very user-friendly, both from the back end and customer experience. The access to wide-ranging data is fantastic. Occasionally we have issues where a customer is able to initiate a chat when there aren’t any operators online. Each time we’ve quickly confirmed that all operators are indeed logged out and have exited the system. We only become aware through a negative post-chat survey. We’re unable to replicate it in testing, but if this could be addressed, we’d appreciate it. We’re able to provide our non-traditional students with customer service during times (ouside of 8-5, M-F) and in a way that is convenient for them. "Great product and merchandising "
I disliked the advertising. I think that this product sells itself. I really think that the product didnt have to be advertised as much as it was. Other than that, i didn’t dislike anything overall about the product itself. The instant responses where I could get solutions immediately . I like how everything was a click away and able to be resolved. I appreciated the fact that there was an actual human on the other end with the same expertise level as I would expect an expert to receive answers from. Nothing really it’s what it should be. I appreciate the help. I think as technology becomes more broadened I see video technology being more incorporated into the program. Customer billing, technical assistance, and customer assistance. Within submitting my initial chat and set of questions they are able to carefully analyze my needs. From here they were able to provide me with how tos in order to fulfill from there. "Amazing technology and exceptional customer service"
I purchased LiveHelpNow for two companies and always been very happy with the product. Its super easy to install, has a wide range of integration options and is both powerful and intuitive to operate as a user. They are currently lacking an integration with Marketo, but I understand its on the roadmap. LiveHelpNow helped us provide realtime sales and support for prospects and customers. "Solid product, great service, low price"
This was extremely easy to get going in our business. I have no background and was able to get it up and running. Currently, it is like we are growing with the company, which isn't the worst thing in the world, but we kind of learn with them on some things. I think they are doing great, no current recommendations. This gives us the flexibility to customize the tool to fit our needs. It has given us great insight to who is on our website and what they are looking at. Huge bonus that it syncs with Google Analytics. "Simple, effective, secure and affordable"
The pricing is good and they do offer a non-profit discount which is great. However, the operator dashboard is very dated and sometimes it sends alerts and sometimes it doesn't. Like I said above I'm not a big fan of the user dashboard it seems super finicky. Also when my computer locks it kicks me off which can be a good thing if you leave for the day but bad if you just get up for a second and then forget to log back in. Helps us instantly chat with customers who are on our website. The pops ups are impossible to ignore - this is a good thing! It's not clear how to differentiate between departments and permissions, and there are no contact information anywhere on the admin site. I'm your customer, how the heck do I reach out for help? I get notifications and pop ups for everyone because I'm an administrator, even though I'm also a Tech Support member. If they offer it, get help up front to configure your site. There is a reason why they are so inexpensive. We implemented chat for marketing and inbound sales reasons initially. My department, Tech Support/Client Services, set up a separate click to chat for our specific customers who were cancelling. A rescue effort. The problem is the chat goes to the wrong department and doesn't allow me to access it. While I'm sure it's a user configuration error on my part, I can't find an email/contact information to get assistance. "An asset to the company"
It's a little tricky to change profile pictures and other settings. No real problems. Benefits is the ability to talk right away with people who don't want to call. "A great chat program with great extras"
Analytics is a great addition to the program. It gives hackers a way in, I was passed a virus through a contact on livehelp. works as advertised, and it has helped a lot with knowing where to do our advertising. "Live Chat Software that works!" Set up is complicated. The set up is not intuitive and instructions are hard to read. Make videos showing how to set up the system. Text is too long and hard to follow. Our busy customers can contact us immediately to help solve questions they have. That improves our customer relations a lot. I love the reporting section. The analytics helps us to track all visitors and chats. I am not fond of the sound alert they are having, it's too loud for me, so I switched that off. We are getting lots of visitors and need to answer all of the questions they are having. The benefit of having this chat system is the ability to help as many people as possible - we have several operators online simultaneously. This saves us tons of time vs. replying via emails. "Live help has been a useful and important part of our business." Customers can reach out to my company 24/7. We do a lot of international business and Live help is a big help with international clients. Live help is a must for those who do business with all time zones. Also for 24/7 customer support. We do a lot of international business and Live help is a big help with international clients. It has also made it easier and faster for a client to contact our support department. "LiveHelp is easy to setup, utilize, and communicate with customers"
Easy to set up. Once download and configured agents were able to utilize and communicate with live customers. Customers have enjoyed working with live representatives and not having to use the phone. We are able to track and report on messages with our CRM. The price is wright and we do not have any dislikes! We have a catalog of over 72k parts and we can provide instant feedback while customer our on the website ordering parts. "LiveHelpNow helps me to help clients. " I like that I can filter out to only chatters and browsers. It is unclear who the "browsers" are. they have foreign IPs. I support clients in a school district with IT needs. I can assist clients with quick IT needs through chat. I like how it helps enhance the customer's experience. Often times when a customer needs help, timely communication is often an issue and the customer has a bad experience. With Livehelpnow, customers get their questions/inquiries answered in a fast and efficient manner. One of the best parts is how LiveChatNow allows agents to communicate with customers all over the world. With integration of Google Translate, many of our clients overseas (India, China, Russa, etc) are able to have their questions answered pretty fast. LiveHelp now is great that our agents can be more proactive in expanding our business with constant communication with our clients. Honestly, I have had little issues with LiveHelp Now. Only issue is that the live chat support from LiveHelpNow is only available during business hours. If it was extended 24-7, that would be great as many people work all types of hours and different time zones need to be considered. Hands down, communication. Clients don't have to wait 24-48 hours for a response or have to endure long holding times on the phone. They get their answers fairly quickly. By doing this, their experience is enhanced and makes them want to continue working with you. In my company, we have increased business especially with our global customers. * We monitor all LiveHelpNow reviews to prevent fraudulent reviews and keep review quality high. We do not post reviews by company employees or direct competitors. Validated reviews require the user to submit a screenshot of the product containing their user ID, in order to verify a user is an actual user of the product. Hi there! Are you looking to implement a solution like LiveHelpNow?